Expanding a ministerial-level food safety working group to influence food safety policy and enhancing collaboration between government and food safety researchers will help strengthen food safety in Cambodia. These were the views of animal health and food safety experts who gathered on 14 December 2017 in Phnom Penh to explore ways of developing the capacity of national researchers and decision makers to use risk-based approaches for better food safety management in the country. 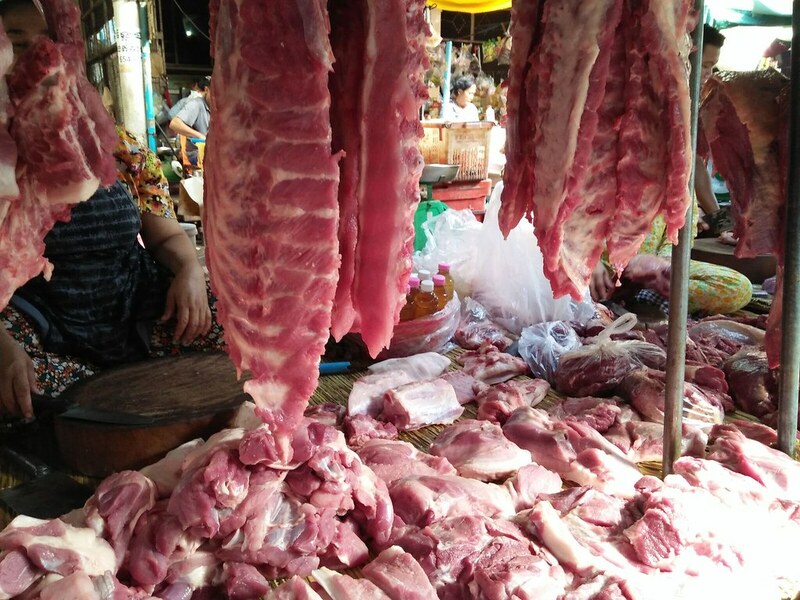 Food safety is a key priority of the Cambodian government. The government is improving food safety risk analysis and quality control, especially in informal markets where a majority of domestically produced foods are bought and sold. In 2017, 27 foodborne disease outbreaks were reported in the country, resulting in about 700 cases of illness and 11 deaths. Food safety is a top priority of Cambodian government, especially in informal markets where a majority of domestically produced foods are bought and sold (photo credit: ILRI/Hardi Dasman). The meeting suggested greater engagement between the government and the Safe Food, Fair Food for Cambodia project towards increasing food safety in the country. Tum Sothyra, director of the Cambodia National Animal Health and Production Research Institute (NAHPRI) noted that though six governmental ministries are involved in managing food safety and food quality; including the Ministry of Agriculture, Forestry and Fishery, Ministry of Commerce, Ministry of Industry and Handicraft, Ministry of Health, Ministry of Tourism, and Ministry of Economy and Finance; they do not work in harmony due to overlapping mandates. This has hindered the implementation of a food safety and quality control system in the whole food supply chain of the country. Team photo at the stakeholder workshop, 14-15 December (photo credit: ILRI/Hardi Dasman). The suggestion on the expansion of the food safety working group would be reviewed by ministerial leaders. The event was followed, on 15 December, by a stakeholder workshop of Safe Food Fair Food for Cambodia project that profiled food safety risks and priorities. Both meetings were jointly organized by NAHPRI, the International Livestock Research Institute (ILRI) and the Centre for Livestock and Agriculture Development and are part of the Safe Food Fair Food for Cambodia project which is implemented under the United States Agency for International Development-funded Feed the Future Innovation Lab for Livestock Systems. 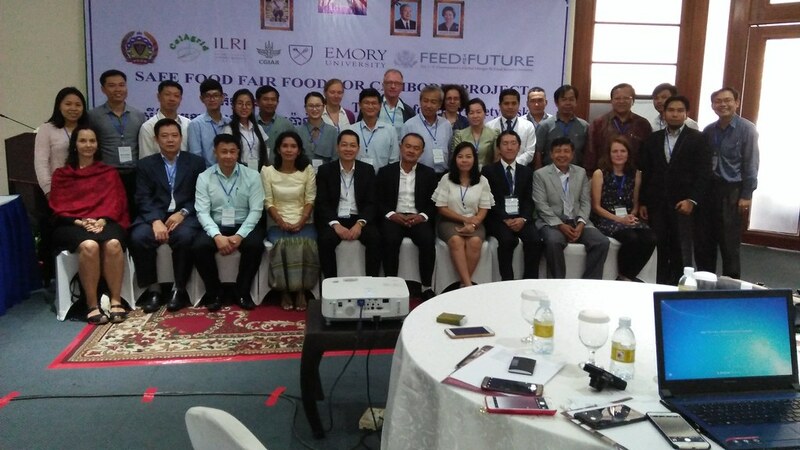 Read about the inception workshop of the Safe Food, Fair Food for Cambodia project. Tags: NAHPRI, Safe Food Fair Food Cambodia, Stakeholder meeting, the Feed the Future. Bookmark the permalink.